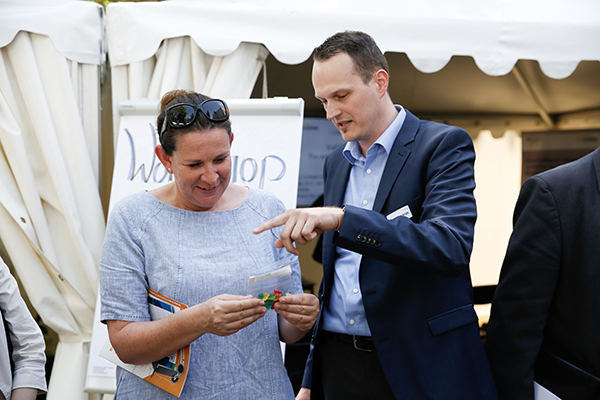 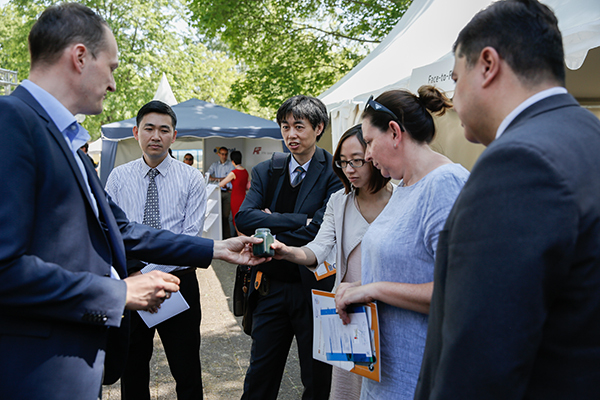 Each year, a variety of CORNET and IraSME projects have the chance to be presented to a broad audience: at the Innovation Day for SMEs annually hosted by the German Federal Ministry for Economic Affairs and Energy (BMWi) in Berlin. 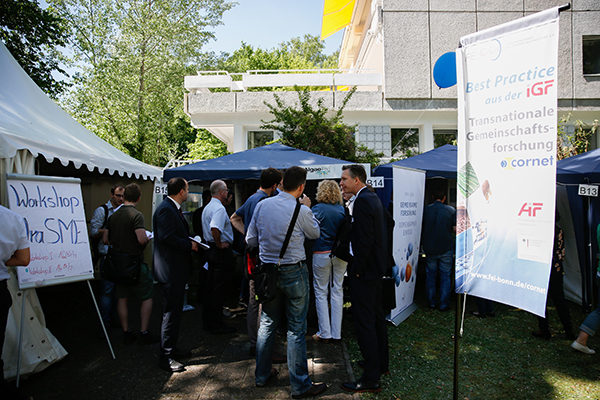 The fair generally aims to make interdisciplinary collaboration between research institutions and SMEs tangible and presents great results of project consortia. 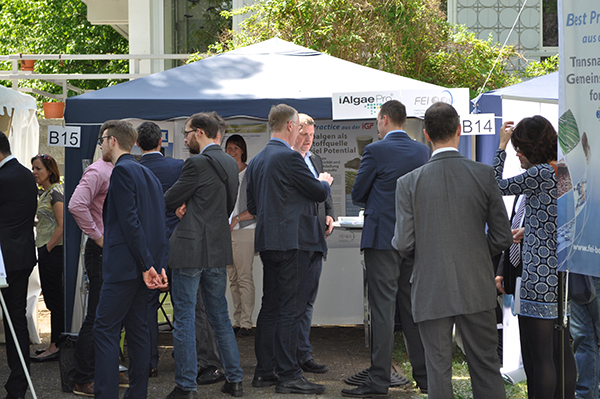 This year, the Innovation Day took place on 18 May. 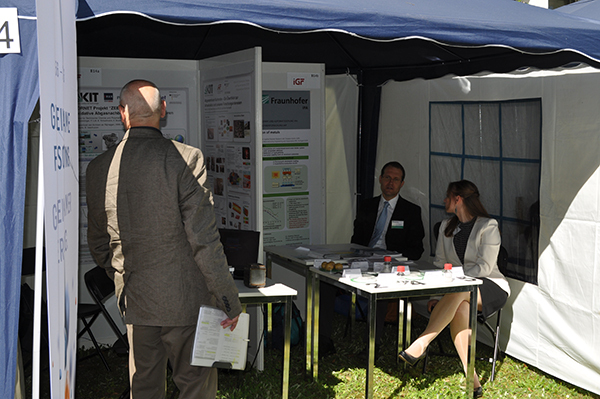 International CORNET and IraSME projects were to be found in the International Area. 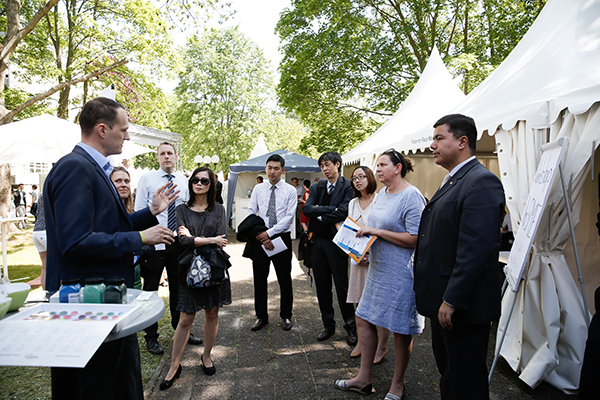 Guests from a broad variety of countries and branches were invited to have a closer look at four interesting CORNET success stories. 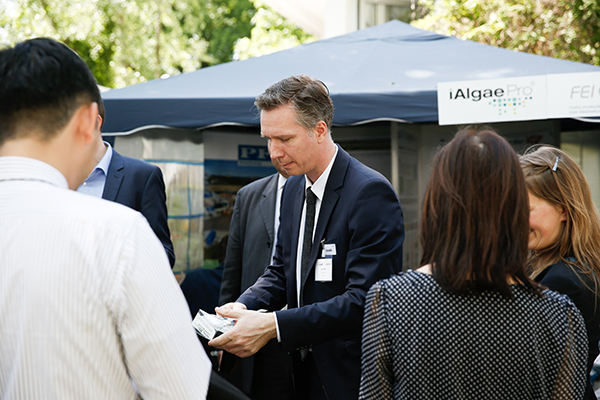 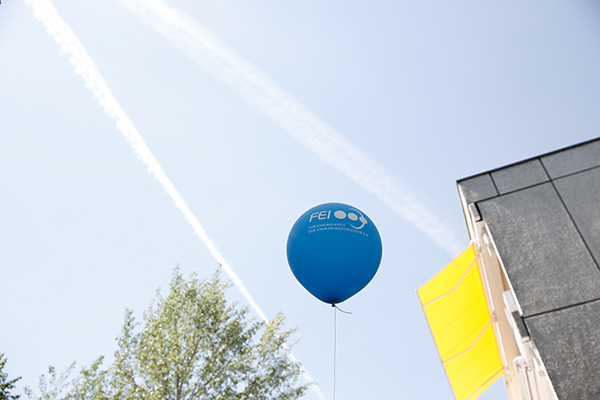 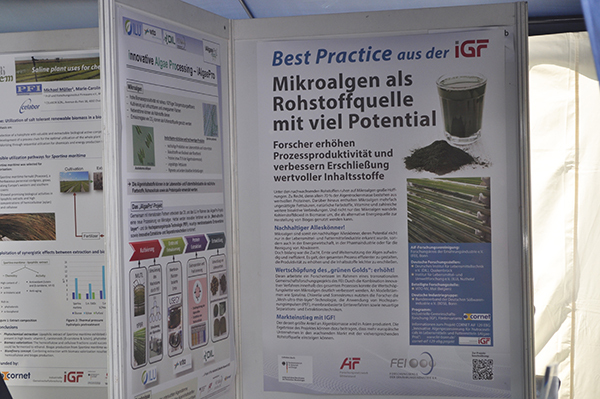 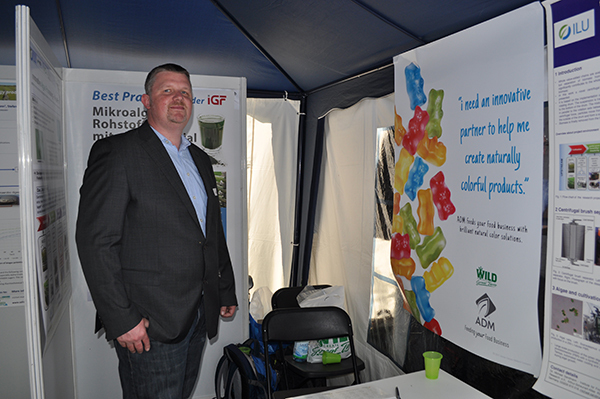 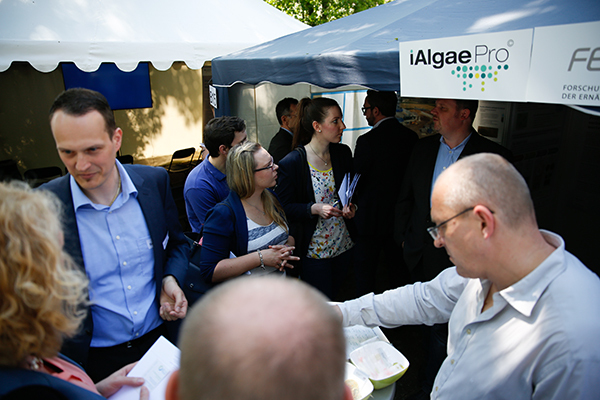 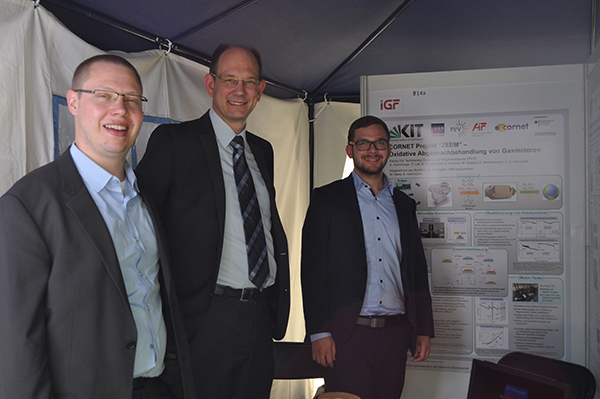 The Research Association of the German Food Industry (FEI) presented their project iAlgaePro which was performed in collaboration between research institutes and SMEs from Flanders and Germany. 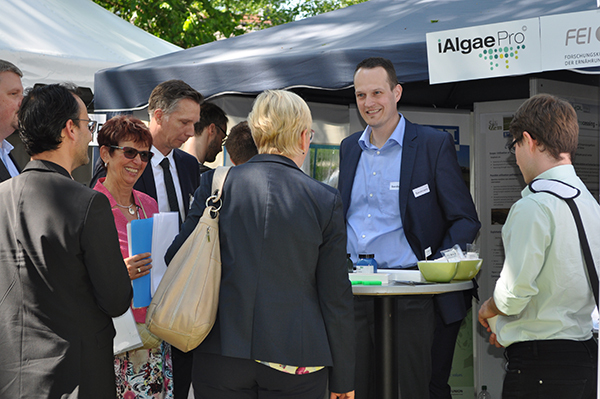 The project which recently ended focused on innovative processing of algae for nutraceuticals in food and feed. 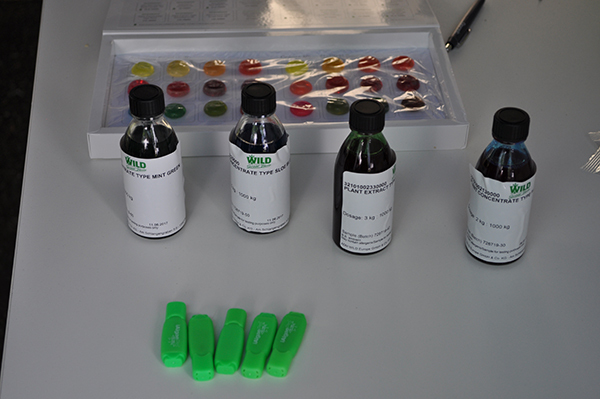 Natural colourings can be extracted from algae. 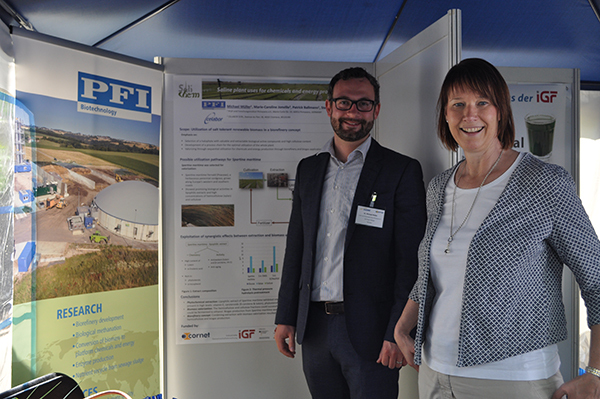 Besides its use for the food and feed industry, the „green gold“ also has a great impact on the energy sector because it helps to produce biomass. 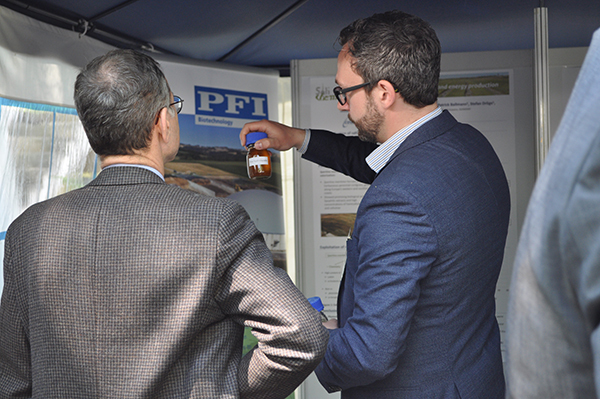 Furthermore, the German-Wallonian project crew from SaliChem explained their researches results on the use of saline plants for chemicals and energy production which is of great relevance because about 2.000 square metres farmland is being destroyed everyday worldwide due to salination. 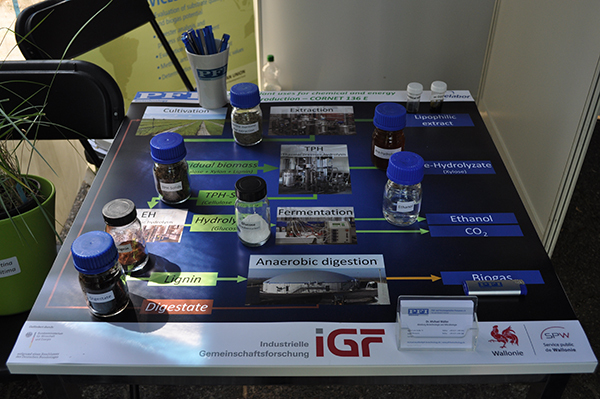 At the fair, visitors had the opportunity to have a closer look at substances being involved in the whole process – from cultivation to fermentation. 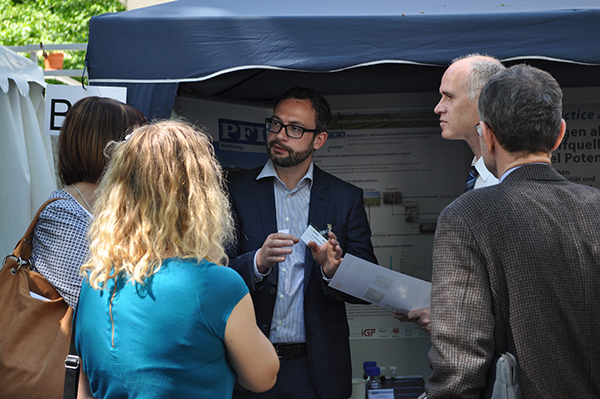 The German-Polish crew from the project DuraCoat gave insights into their research about long-term anticorrosive paint systems for steel structures because the corrosion sensitivity leads to premature damage and causes an economic loss of about 3-4 % of the annual Gross Domestic Product in modern industrial countries. 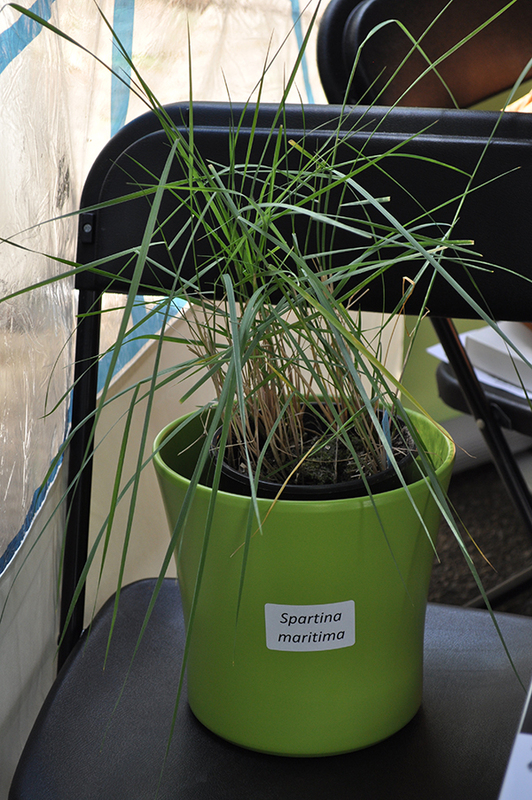 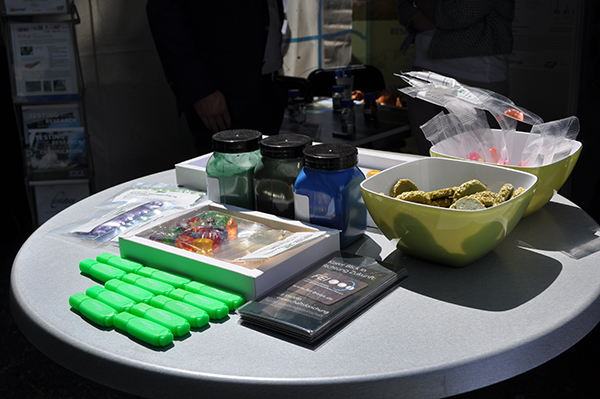 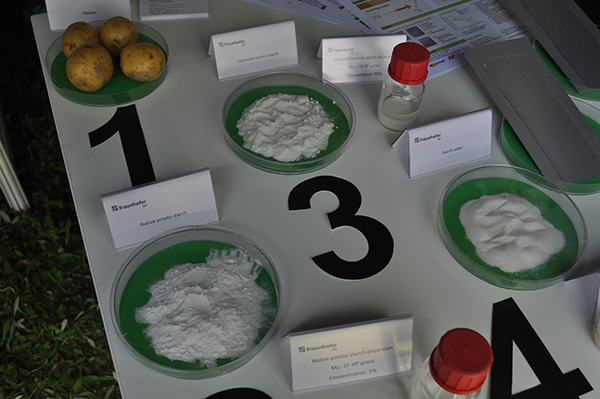 Among others, an aluminium substrate coated with starch ester was presented to the visitors at the fair. 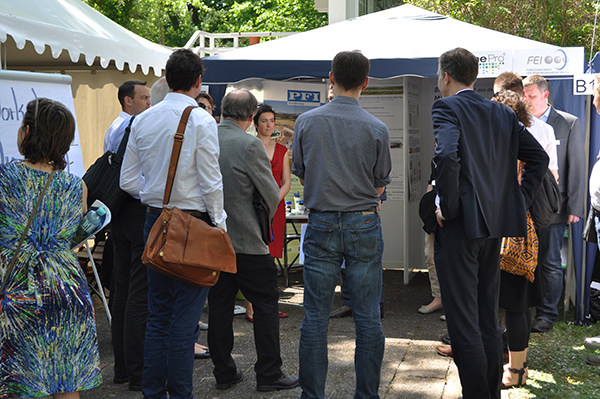 The fourth project showed again a completely different picture of collaboration possibilities in CORNET. 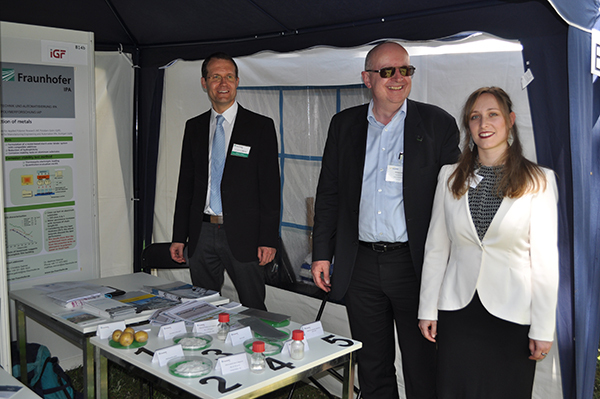 The Dutch-German team of ZEEM dedicated themselves to develop techniques in order to realise near to zero emission for non-road mobile machinery such as construction and farming machineries, locomotives and waterway vessels. 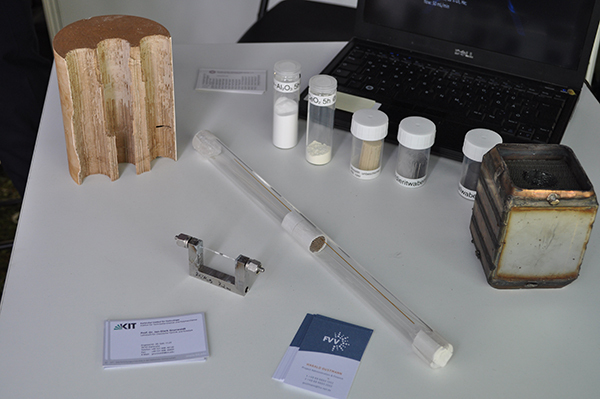 Please find further information about all four CORNET project exhibits here.